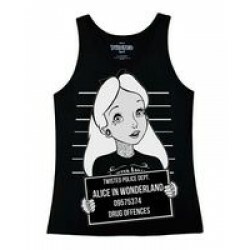 Alice's drug fueled trip down the rabbit hole has finally caught up with her! She is still looking cute but is definitely showing her rebel side. Classic fitted vest top made from 100% Cotton.